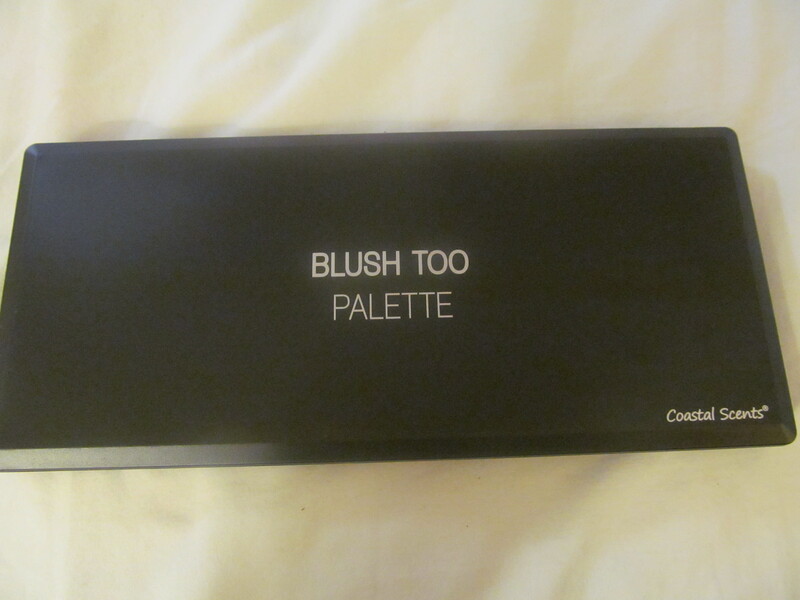 I recently went over to Coastal Scents to browse what they had in stock that I haven’t tried yet. 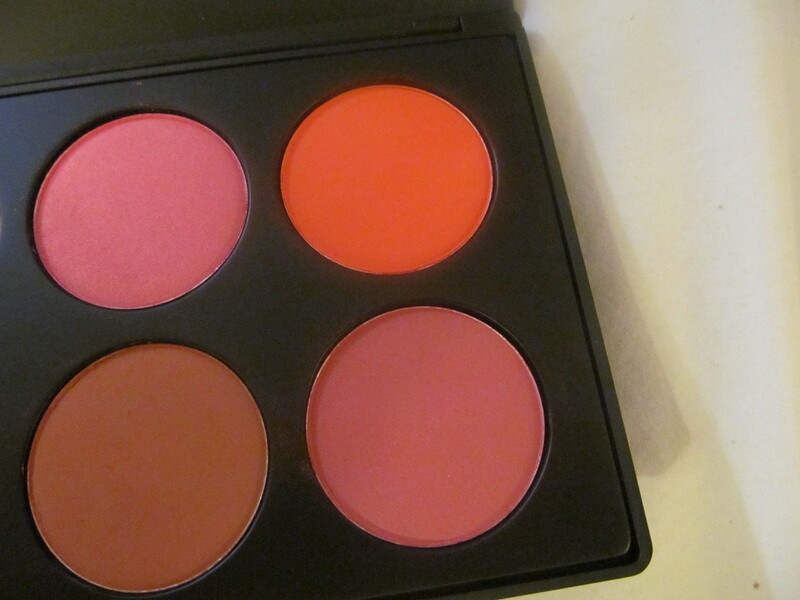 I love trying new makeup, especially when its affordable, and of good quality. 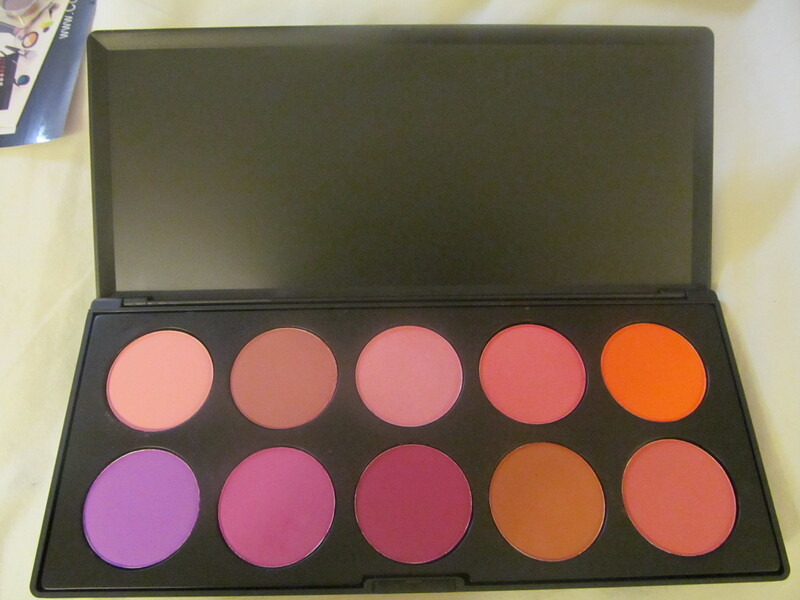 You definitely get more bang for your buck when you purchase makeup in palettes, so if you’re looking to build a makeup collection or start doing makeup as a freelance artist, palettes are the way to do it! 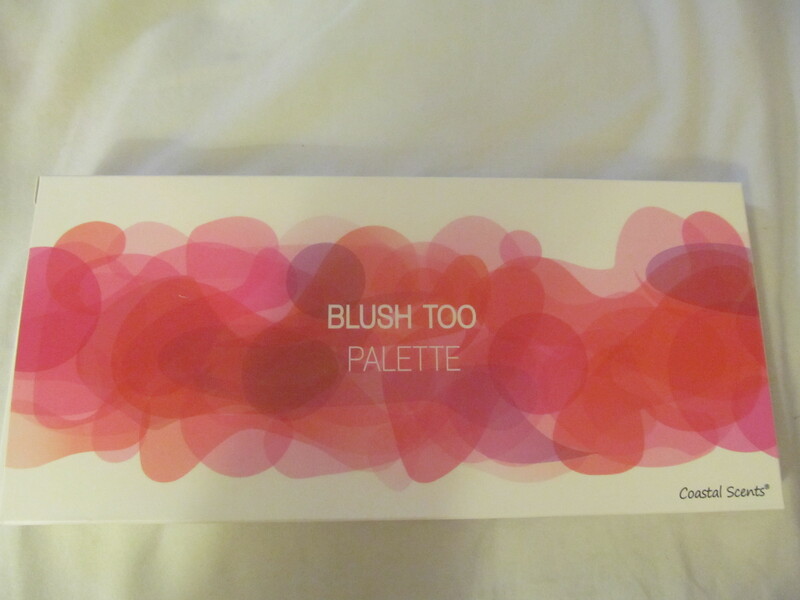 I have seen their first palette, but decided not to purchase it, because I could tell that the colors would not be suitable for my skin tone. But this one is awesome! 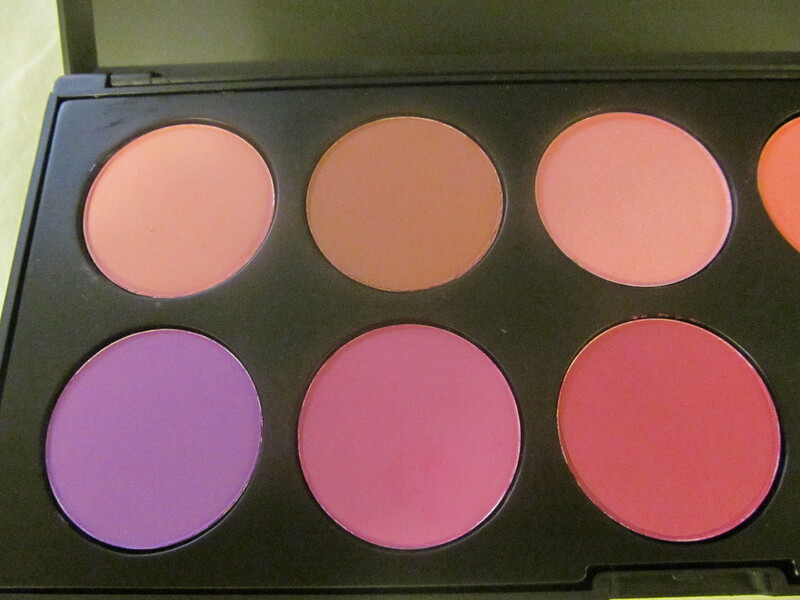 The 10 beautiful blushes are so pigmented, they will last you forever [a little goes a very long way….use a light hand or you’ll end up looking like a clown]. It’s not chalky, and seems to be very well formulated. 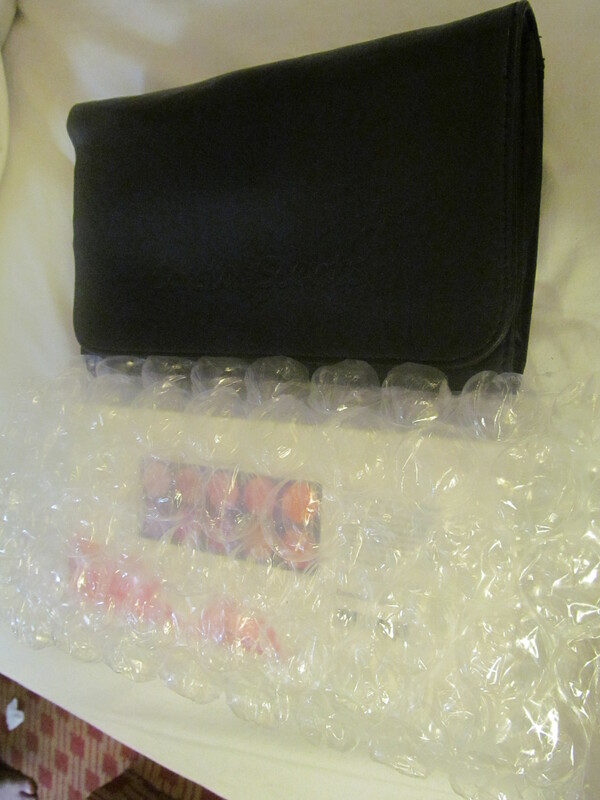 There are soft to the touch, and also have lasting power, they won’t wear off midway through your day. 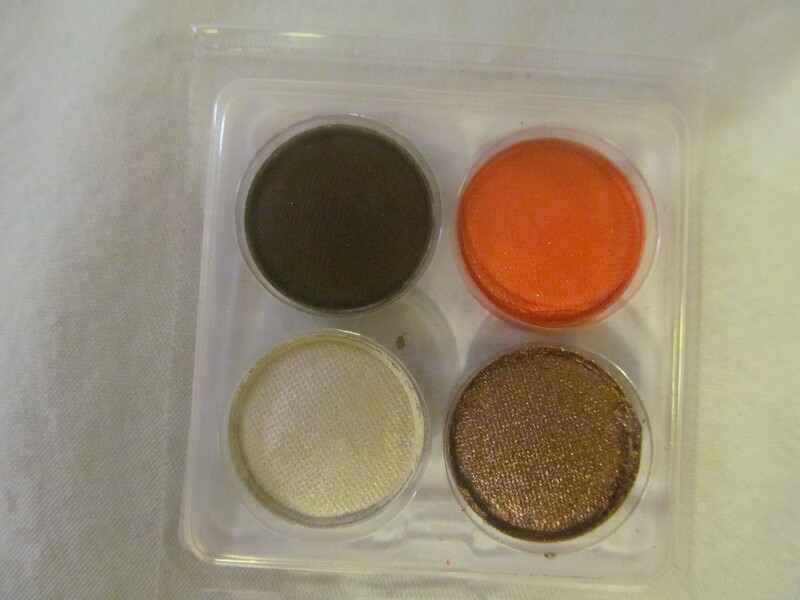 The color selection is also much more varied than the first edition, and thus suits many more skin tones. 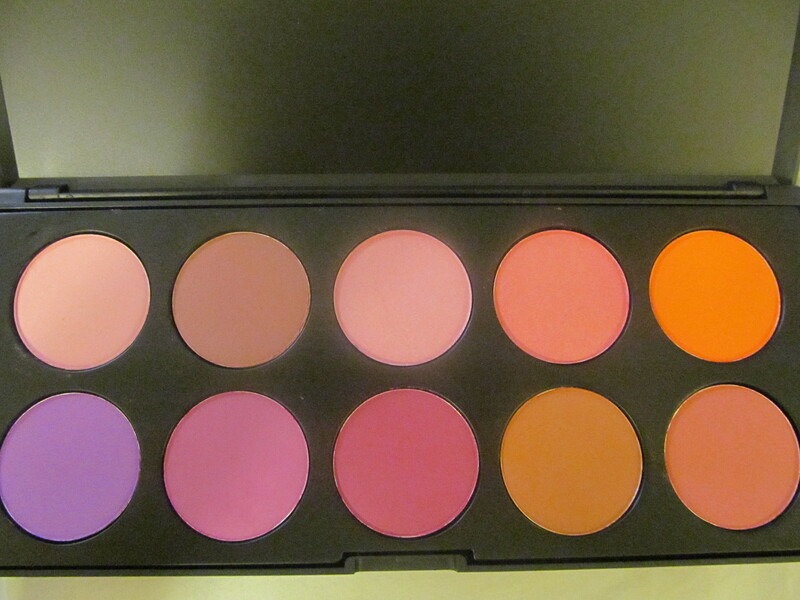 The palette originally retails for $ 15.95, but was on sale at the time for $ 9,95. 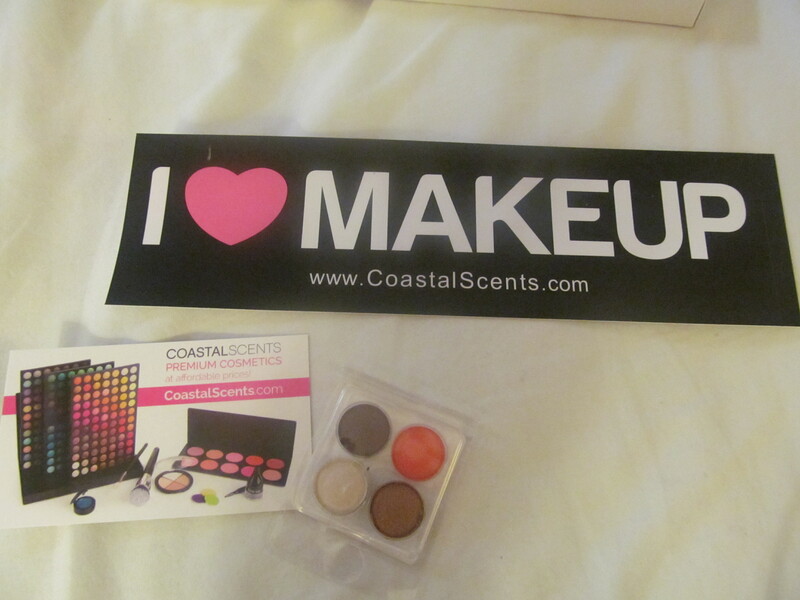 Coastal Scents was also nice enough to include a mini sample eye-shadow quad, as well as an ‘I Love Makeup’ bumper sticker, free with this order.